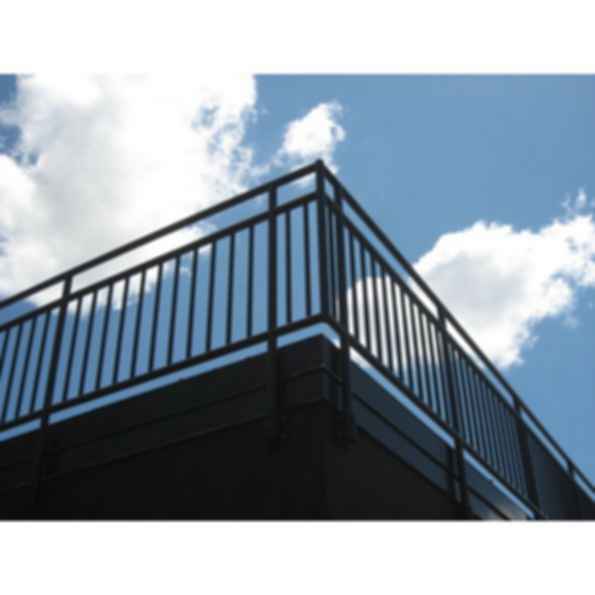 Our component picket railing system uses mechanical connectors that are specially machined to attach pickets securely to the top and bottom rails. These connectors prevent any turning or slippage of the pickets (a common problem), and since they're not welded, show no welding marks. When used with Speed-Rail® or Interna-Rail® frames, our picket railing system is a very cost effective yet aesthetically pleasing solution. Pickets are ¾ inch Schedule 10, and railing is available in mill finish aluminum, anodized, or TGIC Polyester powder coat.